Aishwarya Rai Bachchan is one actress who has always garnered immense love from the audience for her superb acting skills. While the actress may fit into every role perfectly on-screen, she does so too with her roles off-screen as well. 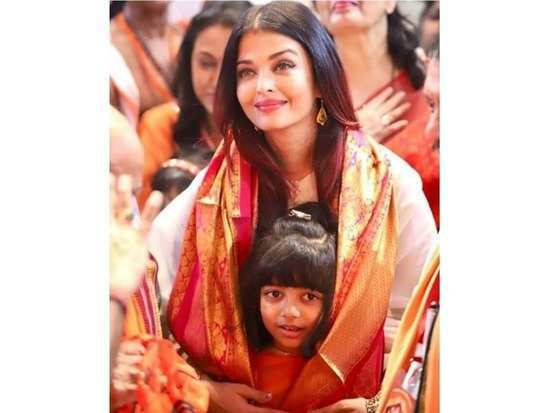 Be it the role of a doting daughter, a wonderful wife or a loving mother, Aishwarya has always maintained the perfect balance in her life. Here's a look-see of her journey as a doting mom. The actress opted for a pregnancy post the age of 35, which as most women are told is too late an age to have a child. However, the actress still went ahead with it at the age of 38 and broke societal norms in doing so. Not only that, she even opted for a normal delivery despite the recent fads of C sections. Post giving birth, the actress unashamedly made a public appearance at Cannes 2012 looking super gorgeous as ever, despite having put on all those extra kilos. She even spoke about being trolled but said that she never paid heed to all the negative comments. This just proves how much of a positive reinforcement she has in terms of her image and how she should look. 4Are Ranbir Kapoor and Alia Bhatt all set to tie the knot next year? 5Karan Johar may be a contributor to Ranveer Singh's quirky sense of style! 6'Koffee with Karan': Kareena Kapoor Khan and Priyanka Chopra to make an appearance together? 8We're loving Shah Rukh Khan and Gauri Khan's adorable social media exchange of messages! 9Deepika Padukone and Ranveer Singh to wed in two different rituals!